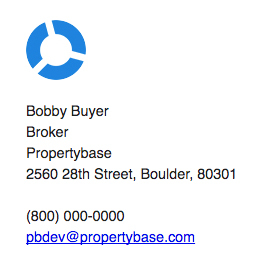 Updating your email signature in Propertybase is simple. The following article will walk through that process. Click the profile image at the top of the screen, then click the profile image again. Next click Edit in the top right corner of the profile. 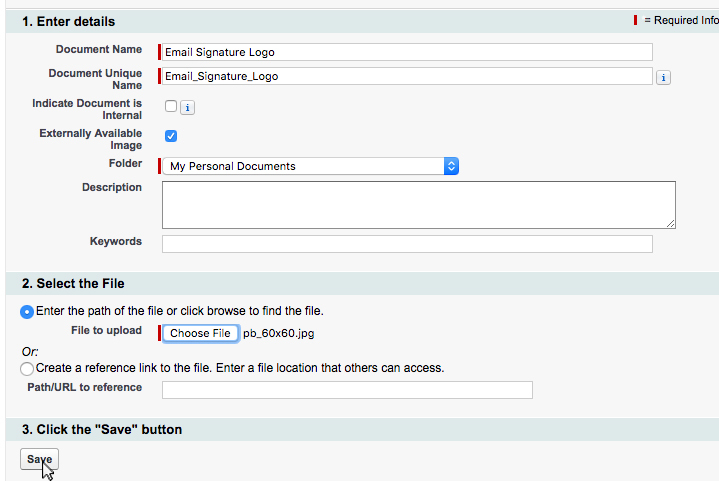 To modify the image that appears in your signature, edit the Agent Image URL field. 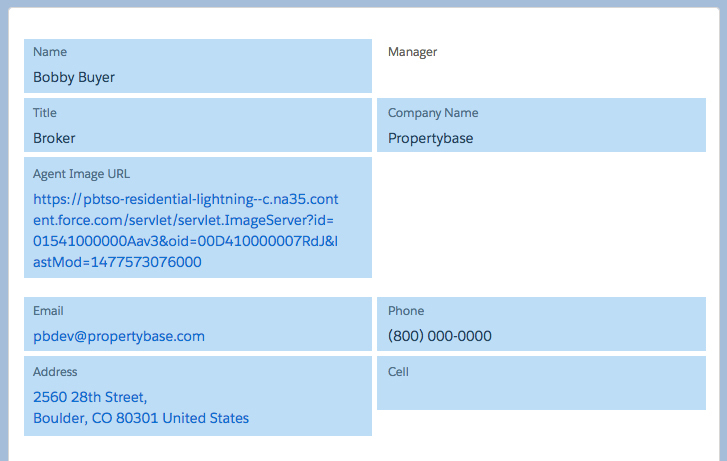 This field will accept any remote URL, but you can host the image in Propertybase if you choose. If you already have a remote URL for your image you can skip to the final step below. 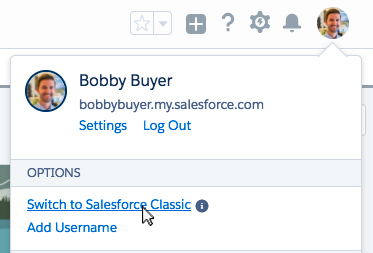 Click the profile image at the top of the screen, then click Switch to Salesforce Classic. Click the "+" icon in the top navigation bar. In the list of applications, click Documents. Fill out details using the image below as a guide. Note: Make sure you check the "Externally Available Image" option on this screen. On the following screen, right click the image and click Copy Image Address. 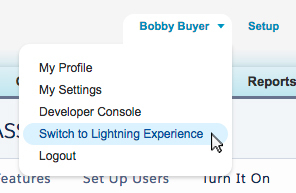 Next, switch back to the Lightning Experience. 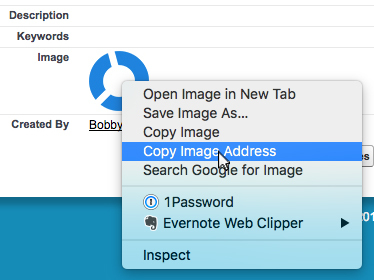 Return to the edit profile screen and paste the copied URL in the Agent Image URL field. Congrats! 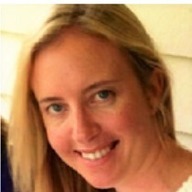 Your email signature is now customized.